I had the pleasure of sitting down with Team Rabbit, a husband and wife team made up of Myles, a Mechanical Engineer and Sherri, a Housewife. They have been together for 4 years and have been doing escape rooms together for the last 2 years or so. Live Action Escapes (LAE): I know a lot of groups struggle to find a fitting team name and don’t usually stick with it throughout different locations. So Sherri, why don’t you tell us a little bit about why you call yourselves Team Rabbit? How was that name chosen and why did it stick? Team Rabbit (TR): Rabbits are very loving and friendly mammals, and so are we! We have always referred to each other as rabbit and so when we began doing escape rooms and were asked for a team name it was a no brainer! LAE: We’ve done escape rooms together as a team but i’m curious, do you prefer doing escape rooms just as Team Rabbit or do you like being in a group with other people? TR: We love it being just Team Rabbit, but being with a group of new players and or younger players is so enjoyable! Seeing their first ‘ahha’ moments is awesome to us! Teaching them the ways of the games make us very happy! LAE: Now, I know just from speaking to you in the past that you have done a lot of escape rooms, how many have you done since your first game? TR: 125 escape rooms to date! LAE: Wow, that is a striking number! Do you remember the first escape room you ever did? What was your experience like and did you escape? TR: Yes, we do remember our first escape room experience. We loved the concept and had a great time but we didn’t escape. 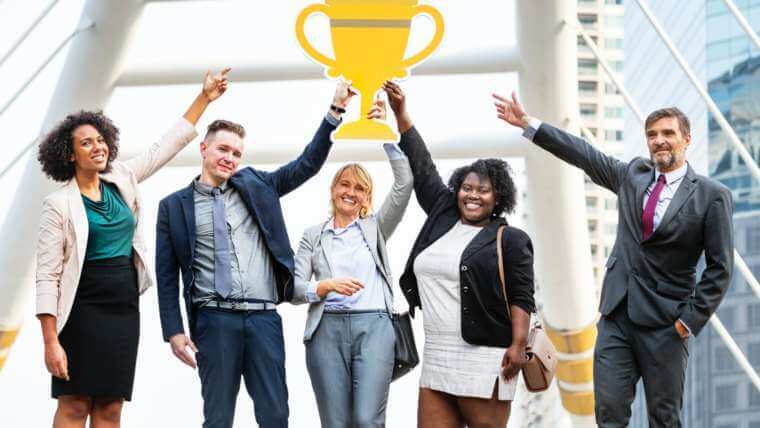 After visiting other venues we realized escape room business owners were friendly and appreciative of our business which was complete opposite of what we had experienced the first time. LAE: How often do you play a escape rooms? 125 different games in 2 years is quite impressive. LAE: Since you’ve played all of the games around here, what is the farthest you’ve traveled to play an escape room? And, did you know that Live Action Escapes has 2 new games that are in the making? They’re set to be released mid-late Spring 2018. TR: The farthest we’ve gone is Buffalo, New York which is about a 6.5hr drive. And we have! One of your game masters had told us about them a little bit last time we were here. We are so excited and can’t wait to try them! LAE: Out of all of the games you’ve played, what has been your favorite room theme that you’ve experienced? TR: We don’t have a favorite theme. We enjoy the complete immersion in any room! LAE: So Myles, what would be your dream room theme? TR: A Post Office! I have yet to find a place around here that has one though, maybe eventually. LAE: What are 3 pieces of advice you would give to someone that hasn’t done an escape room before or that is new to doing escape rooms? TR: The most important thing is communication, it is key to escaping the room. If you don’t communicate everyone is just running around in circles looking for puzzles to solve and not actually solving any. Next I would have to say, don’t give up on things easily. Everyone should work together to solve the puzzle before giving up and asking for a clue. The 3rd and most important piece of advice, just have fun! It doesn’t matter if you escape the room or not, at the end of the time if you had fun doing it, it was worth it. LAE: Now, my last question is, what is your favorite part about playing escape rooms? TR: No cell phones! Being able to communicate face to face and detach from technology is definitely our favorite part, that and the team building aspect, it helps us work even better together in our day to day lives. LAE: Well, thank you so much Sherri and Myles for sitting down with me today. I can’t wait for you guys to try and escape our new rooms! 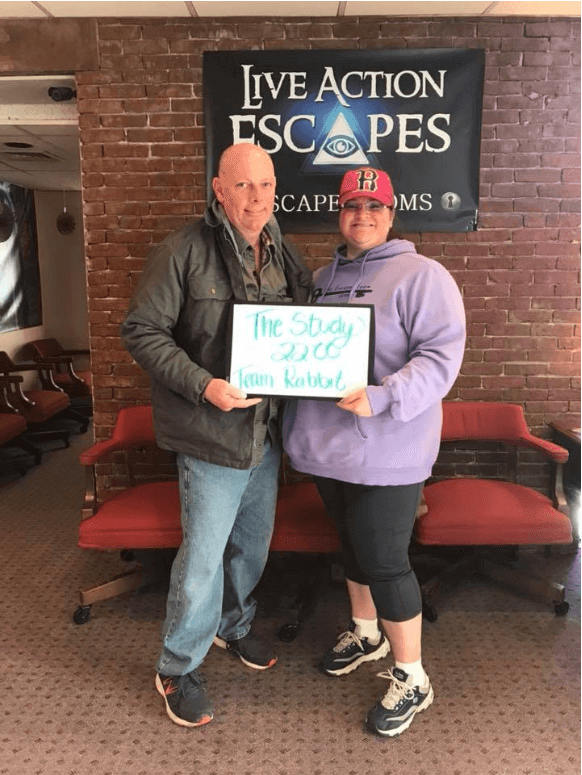 Escape Room Enthusiasts: Team Rabbit at Live Action Escapes after playing The Study in 2017. 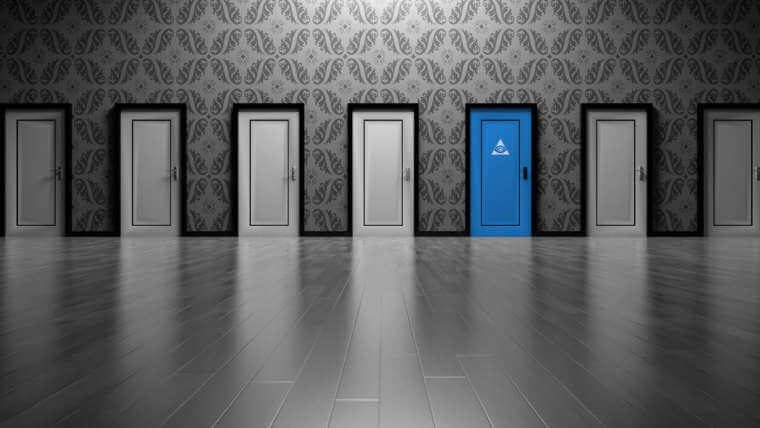 An escape room enthusiast is someone that loves playing escape games. I don’t mean people that likes to play an escape room every once in a while or think “I played one as a team building event with work and it was fun”, I mean someone that reeallly LOVES escape rooms, plays as often as they can and has maybe even traveled to play more escape rooms because they’ve played all of the ones in their area. Are you an escape room enthusiast? Do you want to be featured?